Producing a musical or play for the commercial (for-profit) theatre is an increasingly expensive enterprise, and the show's creators and/or initial producers must raise large sums of money to meet the expenses associated with the production. Musicals bound for Broadway are especially costly, and in order to begin rehearsals and build sets, you must spark interest from potential investors. To do so, you will likely need to stage one or more "backer's auditions": private staged readings of all or part of your show, with minimal accompaniment, props and costumes. Form a business entity. Producing a show for commercial production is a business venture; form a legal entity that conforms to the laws and regulations that apply to raising capital investment. Often this business will take the form of a limited partnership or limited liability company (LLC), which is created to protect the investors' interests and limit their personal exposure to the risks involved. At this stage (if not sooner) you should obtain competent legal counsel to properly organize your business and ensure the law is followed. Recruit other investors to become co-producers through a series of backer's auditions. 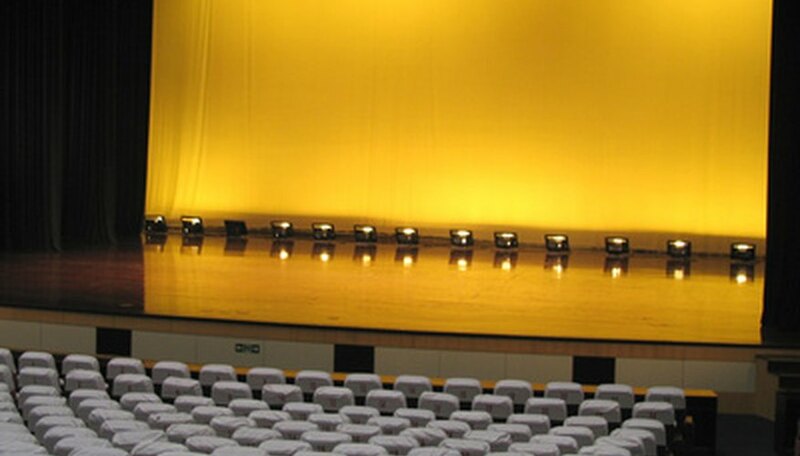 You must decide how elaborate these events will be, ranging from gala catered events with elaborate sound and lighting to modest, informal readings in a rehearsal hall. You may wish to hire an assistant to manage the logistics associated with planning the backer's audition: this individual is often also the stage manager and/or company manager for the backer's audition. Hire the cast and crew for the audition. In some cases, you may already have "name" performers associated with the production; having them participate in the audition can be a major boost to your credibility. Often, however, the entire cast is assembled through a process of auditions. Once cast, you must employ cast and crew members according to union rules and regulations governing compensation and working conditions. Your cast then rehearses the reading with a director and the composers before performing for potential investors. Invite potential investors to the backer's audition. As initial producer(s), you determine whom to invite to the Backer's Audition: your list will likely include one or more high-net-worth individuals and corporate representatives. This process is akin to soliciting investors in other business ventures, and is governed by applicable securities regulations in the jurisdiction in which the money is being raised, and in which the potential investor resides, so you want to act with care and on the advice of counsel. Hold the backer's audition and solicit attendees to invest in the show. Investors may be required to sign various legal documents governing when and how their investments will be due and payable, and under what circumstances they will receive returns on their investment. Make sure to follow up with this in a timely manner but also in strict compliance with the law. Like all other steps in the process, you should consult a competent, experienced attorney and follow her advice carefully. Robert Terrell Milner has worked since 1993 as a copywriter, speechwriter, screenwriter for "The Tracks of Progress" and playwright for "Abraham's Children." He has been an actor, attorney, nonprofit administrator and communications consultant. Milner holds a Bachelor of Fine Arts in theater from the University of Mississippi, a Juris Doctor from the University of North Carolina and studied acting at the Atlantic Acting School.